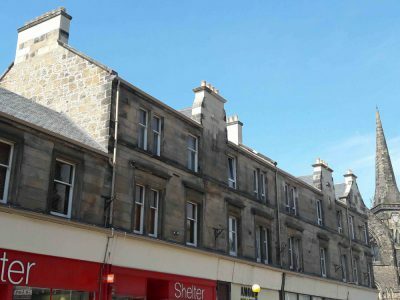 The King Street Funding Initiative was a proactive project which involved external repairs, conservation and enhancement work to several buildings to aid the economic regeneration of Stirling’s historic town centre. 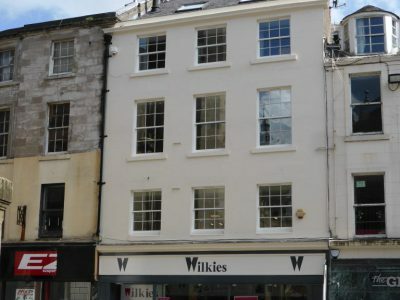 This major investment built on previous work carried out under the Façade Enhancement Scheme which invested in the conservation and repair of six shopfronts in King Street. 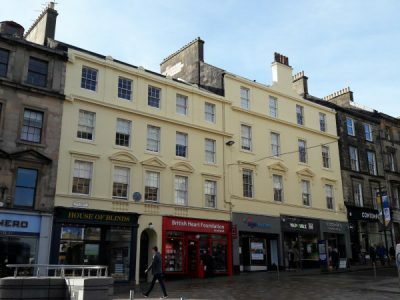 King Street is recognised as an important street in the history of Stirling. During the 19th century it became the main commercial street with banks and respected local businesses located here. 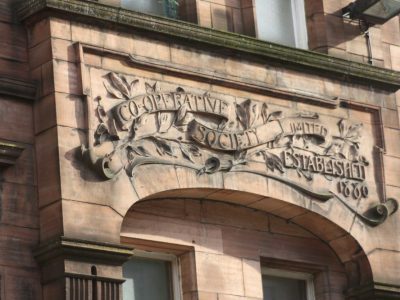 The streetscape reflects this legacy with ornately carved stonework and a number of interesting shopfronts, some of which were formerly banks. The majority of the buildings in the street are listed and the street is within the Stirling Town & Royal Park Conservation Area. 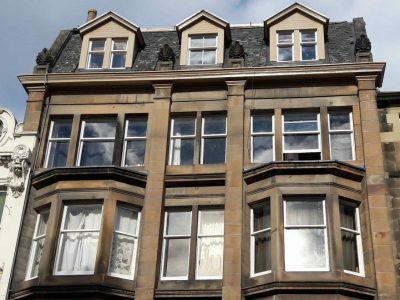 The initiative’s focus was on King Street and a number of key buildings in the city centre. The total investment has been over £1.5 million, of which £978,000 is public funding (62%). This has assisted 6 businesses, 3 shops and 40 flats. Grant funding for the King Street Funding Initiative is now closed. 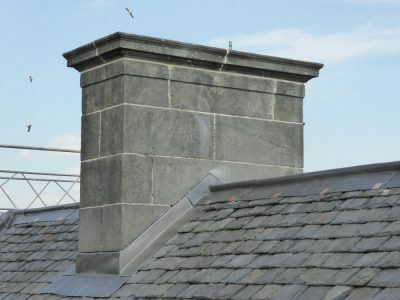 Future funding for traditional buildings in Stirling will be available to members of the Traditional Buildings Health Check.